Dell EMC is announcing worldwide availability for its next generation of the world’s bestselling server to help customers of all sizes fuel their IT transformation initiatives. Recently previewed at Dell EMC World 2017, the award-winning design of the new 14th generation Dell EMC PowerEdge server portfolio forms a scalable, automated and secure compute platform for traditional and cloud-native applications, designed for new Intel Xeon Scalable processors. With its scalable business architecture, intelligent automation and integrated security, the new Dell EMC PowerEdge 14th generation server portfolio delivers on these desired benefits. PowerEdge servers, the bedrock of the modern data center, enable customers to push innovation further and faster to achieve their IT transformation goals. 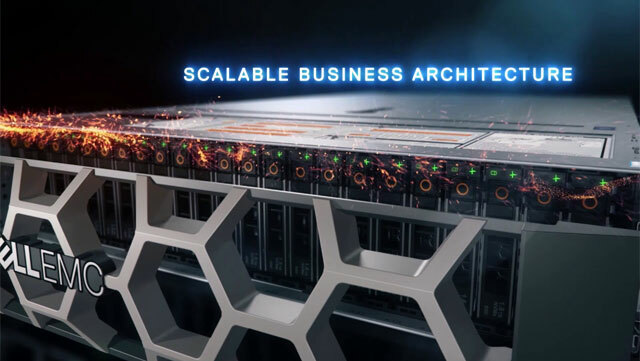 The scalable business architecture of Dell EMC PowerEdge servers helps customers efficiently meet their changing business needs with enhanced performance capabilities for traditional, virtualized and cloud-native workloads in a software-defined data center. The new Dell EMC PowerEdge server portfolio, highly optimized for non-volatile memory express (NVMe), helps customers accelerate deployment of software-defined data storage and hyper-converged infrastructure stacks. Intelligent automation in Dell EMC PowerEdge servers enable IT professionals to focus on mission-critical tasks that drive greater customer and business value. Specifically, OpenManage Enterprise with a powerful RESTful API offers tools for automating deployment, updates, monitoring and maintenance. The new, more powerful OpenManage Enterprise management console offers users: easy server lifecycle management, up to 90 percent faster PowerEdge server issue resolution. Dell EMC believes that integrated security is integral to compute and should not require extra licensing fees. Dell EMC pioneered root of trust within its PowerEdge servers for the past two generations. In collaboration with Intel, Dell EMC is bringing Intel Xeon Scalable processors to Dell EMC PowerEdge 14th generation servers. With 27 percent more CPU cores and 50 percent more memory bandwidth, Dell EMC PowerEdge 14th generation server customers can accelerate performance of business critical applications and workloads. Dell EMC’s most advanced line-up of PowerEdge servers includes rack and blade form factors. Dell EMC PowerEdge C6420: Ideal for high performance computing. Maximizes density, scalability and energy efficiency per unit in a 2U/8S Modular platform.